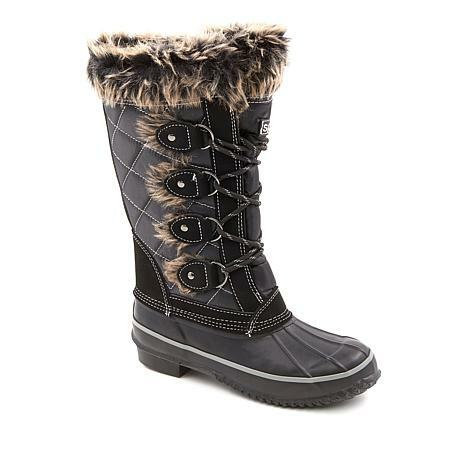 Stay dry and warm all winter long with Sporto's waterproof Dani duck boot. 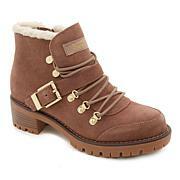 Whether you are working or playing outdoors, these stylish shoes are a snowy, wet weather must-have. My first pair if Sporto boots. They are true to size, very comfortable, warm and a great looking boot. 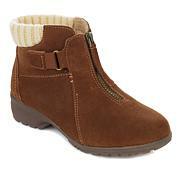 The boots look great and are wide to accommodate thick winter socks. But they leak and are not water proof. I don't know where the leak is yet. The foot box is also not well insulated so walking around in snow results in very cold feet. Not impressed, for the price. After wearing the boot twice, and only wearing them to the car and back, the sole came out of the boot! It's not a huge deal but when you're rushing in the morning trying to get kids off to school on time, taking a boot off to fix the sole is just one more thing to do. I feel that with paying this this much for a boot, the sole shouldn't come out after wearing it only twice.